Are you interested in learning about recent clinical and research developments and available treatment options for AMN? What questions would you ask about symptom management of AMN if you had the experts at hand? Do you have any burning questions you have wanted to ask about AMN but haven’t had the chance to? The podcast will be available at this link both live and after the recording. The podcast will also be available on the Rare Genomics iTunes channel after the recording. The first 25 minute segment will feature medical scientists/clinicians discussing the latest developments in AMN regarding genomics and biotechnology research, while the remaining 20 minutes will feature guest speakers will answer your questions/concerns/issues. **Here is your chance to ask any question you may have about Adrenomyeloneuropathy? What are the acute symptoms of Adrenomyeloneuropathy? What can I expect for my hypertonia, peripheral neuropathy, and ataxia because I have Adrenomyeloneuropathy? What kinds of treatments/early diagnosis are available to manage my Adrenomyeloneuropathy? PS. If you cannot participate but would like to ask our experts any questions, please submit them here. The transcript and recording will be posted on the homepage of Rare Genomics and RareShare AMN Syndrome Community after the live Q&A. Dr Orchard attended medical school at Brown University, served his residency at the University of Wisconsin - Madison, in pediatrics, and held a fellowship at the University of Minnesota. Dr. Orchard is interested in the use of blood and marrow transplantation (BMT) and potentially other cell therapies for inherited metabolic diseases, like Hurler syndrome and adrenoleukodystrophy. He has developed new therapies specifically for this group of patients with the goal of minimizing neurologic deterioration during the transplant process, including the use of anti-oxidants, reduced intensity transplant regimens and combinations of therapy such as transplant and enzyme replacement. This work also benefits other children undergoing transplant, particularly in regards to our commitment to minimize the side effects of transplantation. 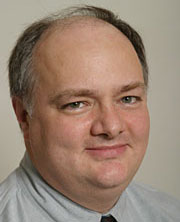 In addition to his clinical work with patients who have inherited metabolic diseases, Dr. Orchard is also engaged in more basic research studies in regard to determining strategies to enhance the delivery of enzymes to the brain and the peripheral nervous system for patients who lack specific enzymes. In addition, he is interested in testing other types of stem cells that may improve outcomes for patients with inherited diseases, including gene therapy approaches. He also leads research and clinical care for patients with osteopetrosis, an inherited disorder leading to increased density of bone, for which BMT is a treatment option. Dr. Orchard is considered an international expert in this disorder and its treatment. Dr Rizzo attended medical school at the University of Illinois, Chicago, completed his residency at John Hopkins Hospital in Baltimore, Maryland, and was a fellow at the National Institutes of Health. He has been in practice for more than 20 years. Dr Rizzo’s research is directed at understanding the genetic and biochemical basis of inherited metabolic diseases, with a particular emphasis on disorders of lipid metabolism, and diseases which cause a variety of symptoms involving the brain, nerves, skin and eyes. The investigations in his lab range from basic research on biochemical pathways to discovering unrecognized genetic diseases that affect metabolism in children and adults. Dr Rizzo is particularly interested in Sjogren-Larsson Syndrome and his research has identified the cause of several genetic diseases, and led to the development of new diagnostic tests and treatment approaches.